He’s a singer-songwriter, a teacher, a former CBC radio host and an author. 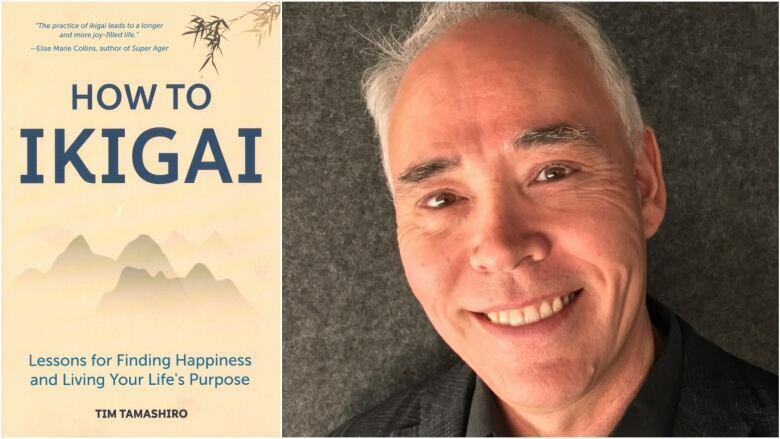 Tim Tamashiro’s new book How to Ikigai is about living your life’s worth. He explained the motivation and ideas behind it to The Homestretch on Monday. He's a singer-songwriter, a teacher, a former CBC radio host and an author. Tim Tamashiro's new book How to Ikigai is about living your life's worth. He explained the motivation and ideas behind it to The Homestretch on Monday. Q: What does ikigai mean? A: How to live your life's worth. It's two Japanese words, iki which is life and gai is worth. Q: Why did you want to explore this? A: You only get one turn. That's what it boils down to. Throughout my life I've always had a great opportunity to do things that are interesting and fun for me, from my singing career to my other careers and on the air with CBC. I wondered what the common thread was through all of those careers. It turns out it was my ikigai. Q: You went to Japan to research this book. What did you find? A: My whole family travelled there. We flew south to Okinawa to get that feeling of what ikigai is. My grandparents were both born in this tiny little island just off the coast of Okinawa called Hamahiga Island. This place is so small, it wouldn't be any bigger than Market Mall. There has always been this energy of doing what you love and what you are good at. That is the Okinawa philosophy. Q: They must be doing something right. They have one of the largest percentages of 100-year-olds per capita in the world. A: They spend a lot of time with the people they love and they are always active. That is part of well-being overall. This is being taught in places like Yale University. Take time for yourself and make sure you are doing the things you want to do. Don't fall for that busy trap. Q: For someone still searching for their purpose, their reason for being, what are the steps involved in that search? A: Concentrate on your half ikigai. It's four steps. Do what you love, do what you are good at, do what the world needs and do what you can be rewarded for. Half ikigai is just those first two steps. Take some time, do some research, stumble, experiment. See what it is that you love and figure out what you are good at and just concentrate on those two things for as long as you can. Have fun. It will bring a little bit of extra joy into your life every day. A little bit of joy every day adds up to a lifetime of joy.